Unison CCTV company are one of the leading supplier of electronic security systems in the UK. 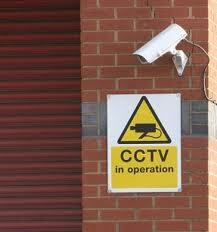 We have CCTV security jobs in Birmingham for installations available, for more information please visit our website. The DN83 Series Pixim Ultra High Resolution Day/Night WDR Bodied Cameras. The Tamron 13VG308ASIRII is Fast, IR corrected for up to 700TVL. CCTV has proven instrumental in the convictions of several people today, who appeared in court accused of looting or taking part in the riots in Birmingham city centre and Wolverhampton. Most people convicted have received lengthy custodial sentences, with police warning people who have not yet handed themselves in that through a mix of CCTV footage and public cooperation they will eventually be tracked down. An operator monitoring city centre CCTV pictures from Steelhouse Lane Police Station in central Birmingham alerted police officers, after a car driver lost control outside the Birmingham O2 Academy concert venue. The vehicle overturned and ended up upturned at a potentially hazardous location, near an underpass, on the often fast-moving Bristol Road in the early hours of the morning on Saturday 18th June 2011. A bollard by definition is a ridgid protective device which is designed to provide a resistance to bending / deformation on impact with a vehicle which is normally in the shape of a small verticle post.